Everyone likes to enjoy a swimming pool on a vacation, but most outdoor swimming pools are only available seasonally. 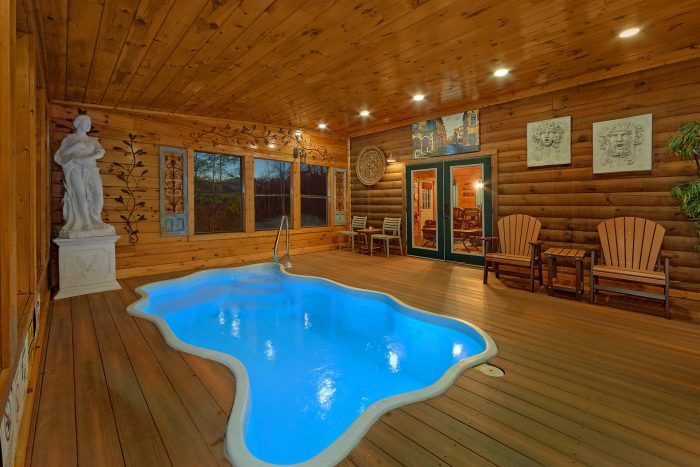 Luckily for guests who book "The Waterlog," they can enjoy a Smoky Mountain cabin vacation complete with a private pool! 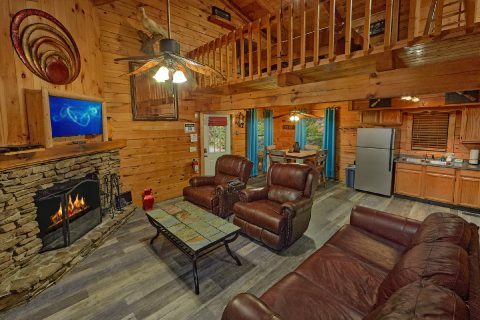 Located only a short drive from Dollywood and Gatlinburg, you'll find this 5-star cabin with all the amenities you need for your vacation no matter the season! 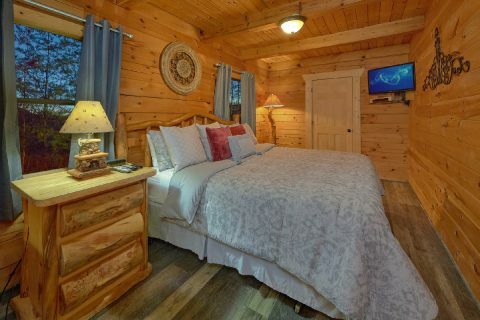 This Smoky Mountain cabin close to Dollywood comes complete with a king-size bedroom, a queen bedroom, and additional sleeping space that comfortably accommodates up to 6 guests. The king bedroom is located on the main floor, while the queen bedroom is on the uppermost level. 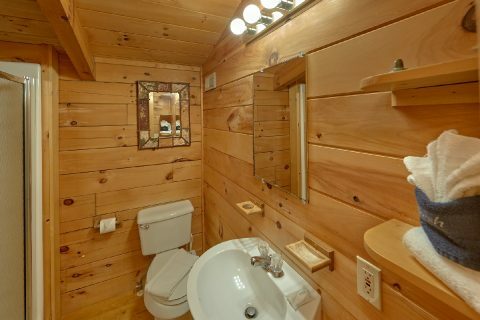 Each bedroom comes complete with a private television. 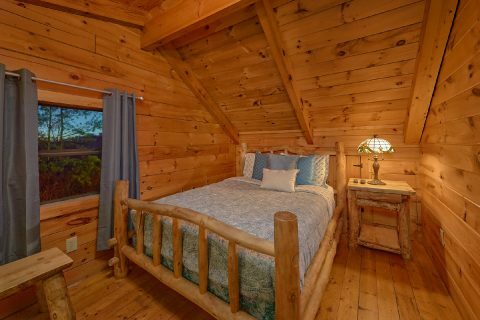 This rental is ideal for a small family vacation or a romantic getaway. 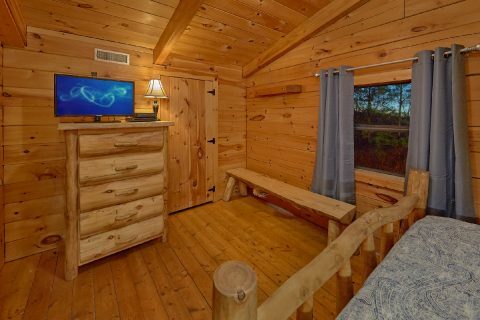 No matter who accompanies you on your Smoky Mountain vacation near Dollywood, you can be sure you'll enjoy the best cabin luxuries during your stay. 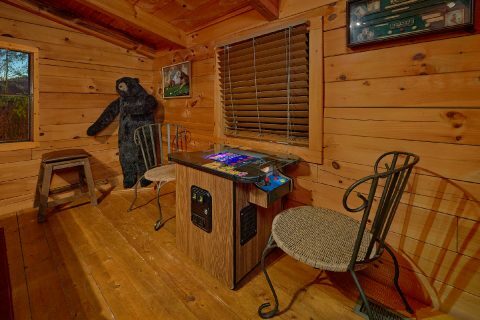 With a hot tub, game room with pool table, sit down arcade game, and more, there are plenty of ways to unwind during your stay. 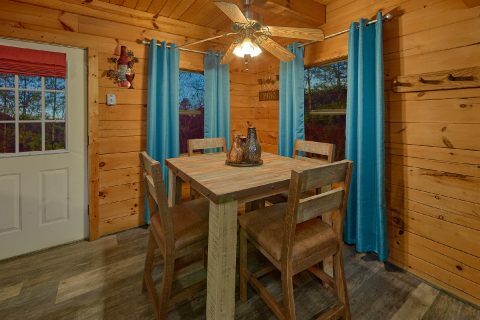 From your rental's covered deck, you can appreciate your Smoky Mountain cabin views from the comfort of a porch chair or hot tub. Even on a cool winter day, you can look forward to taking a dip in your heated indoor pool downstairs. 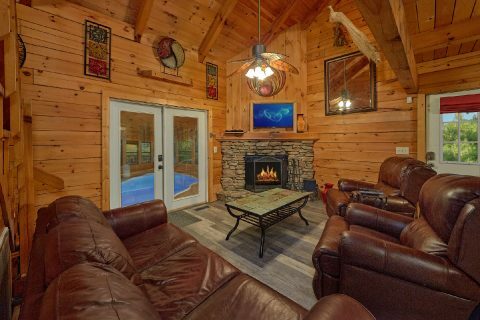 To stay warm, enjoy a toasty fire in the living room fireplace while you watch your favorite movie. 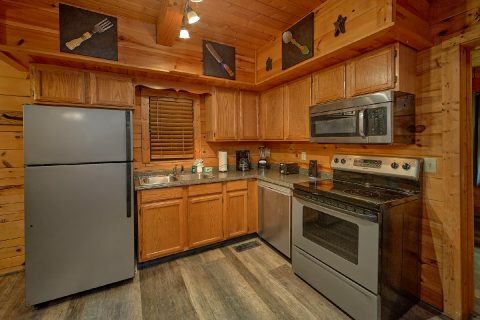 For delicious dinners, guests can easily find great restaurants in nearby Gatlinburg or Pigeon Forge, but you can also enjoy the option of making a tasty meal in your rental's fully equipped kitchen area. 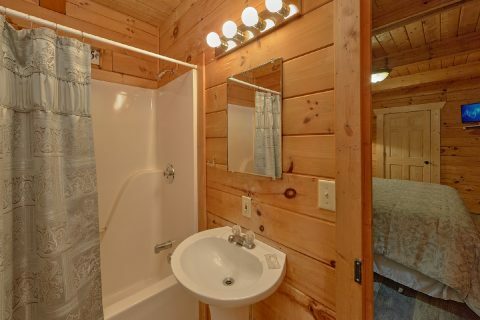 WiFi Internet and a washer & dryer are other great features that will have you feeling like you're right at home! 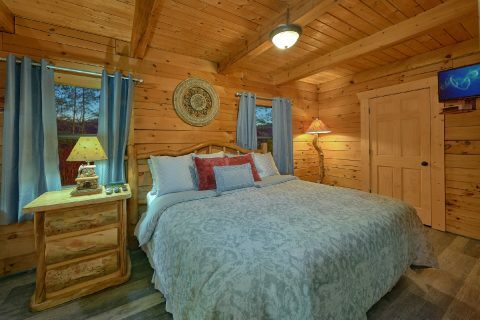 Enjoy a 5-star experience in the Smoky Mountains of Tennessee when you book "The Waterlog" with Cabins USA Gatlinburg! 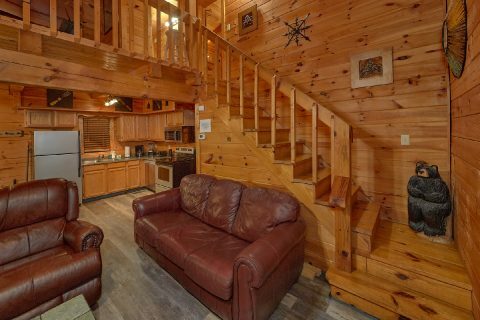 This rental can be booked alongside our other rentals near Dollywood to sleep even more guests and so you can enjoy even more great amenities. 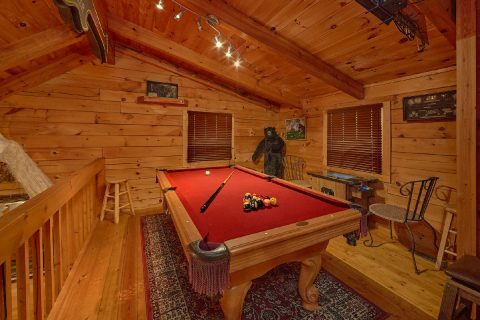 Best of all, you can book your cabin near Gatlinburg with an indoor pool and save 15% thanks to our on-going cabin discount!